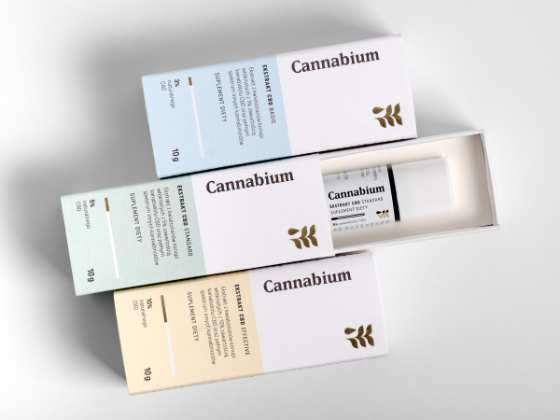 Cannabium products are made from natural ingredientsextracted from the highest quality of fibre hempinflorescences. They are used to treat autoimmune and neurodegenerative diseases, such as epilepsy, diabetes, schizophrenia or depression. The name is a mix between the Latin words "Cannabis" (hemp), and "Aurum" (gold), which is meant to signify that the brand is safe to use and of high quality. The logo refers to motifs representing a plant and the process of extraction. 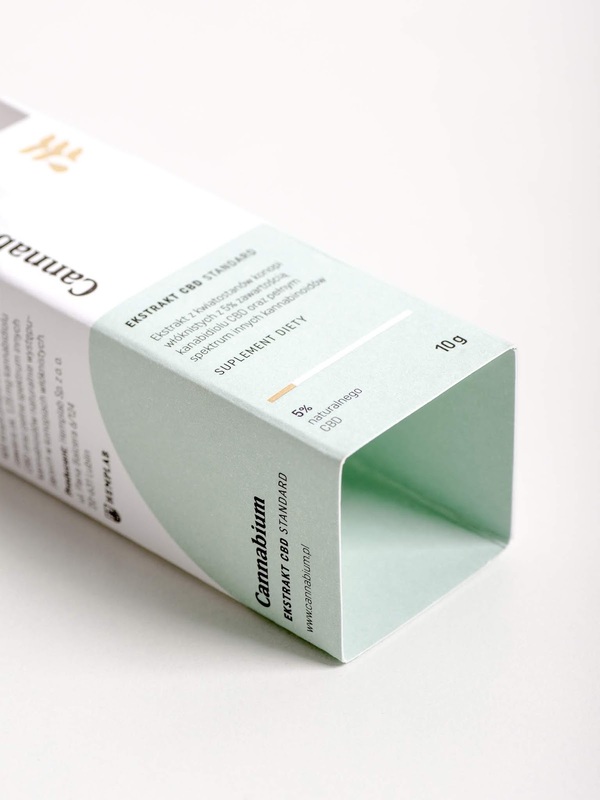 The packaging underlines the medicinal use of the product. The name and signet are seperated, the name being positioned vertically with the signet placed in the upper right corner. 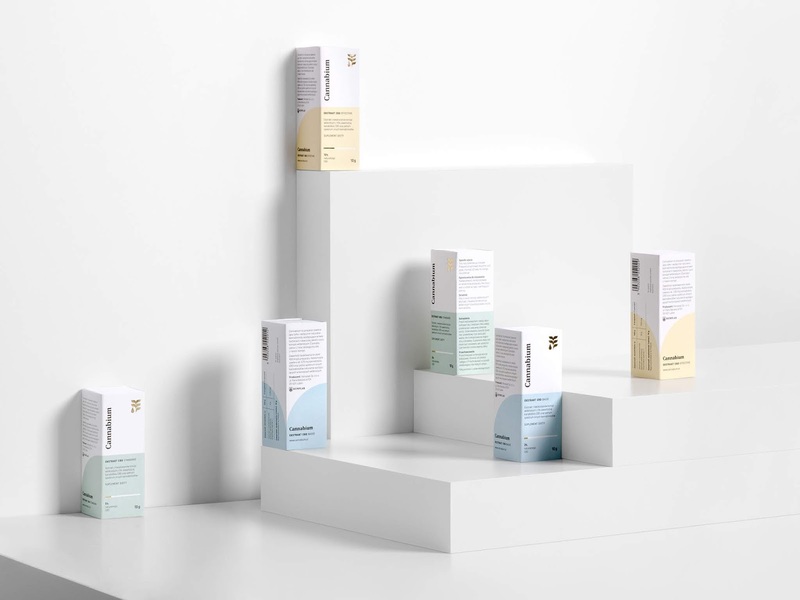 This layout was designed to differentiate the brand from other products available on the market. 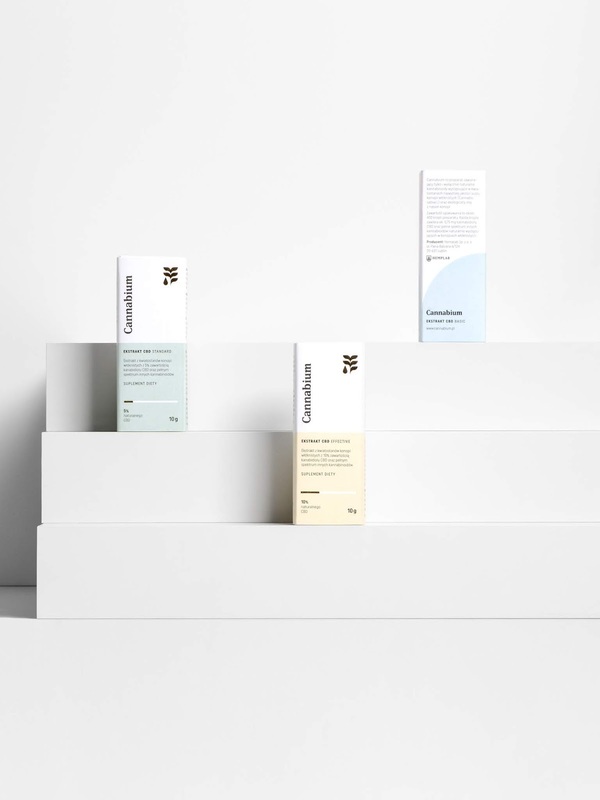 We have prepared a series of packaging designs for 6 products. Currently, three of these products are available on the market. 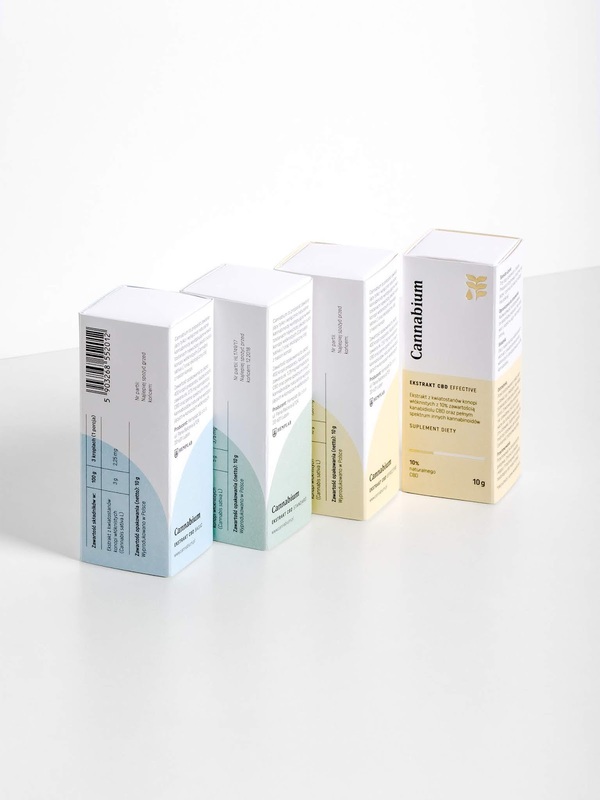 For the production of the outer packaging, we used Munken Polar paper to give an exclusive, yet very natural feel. 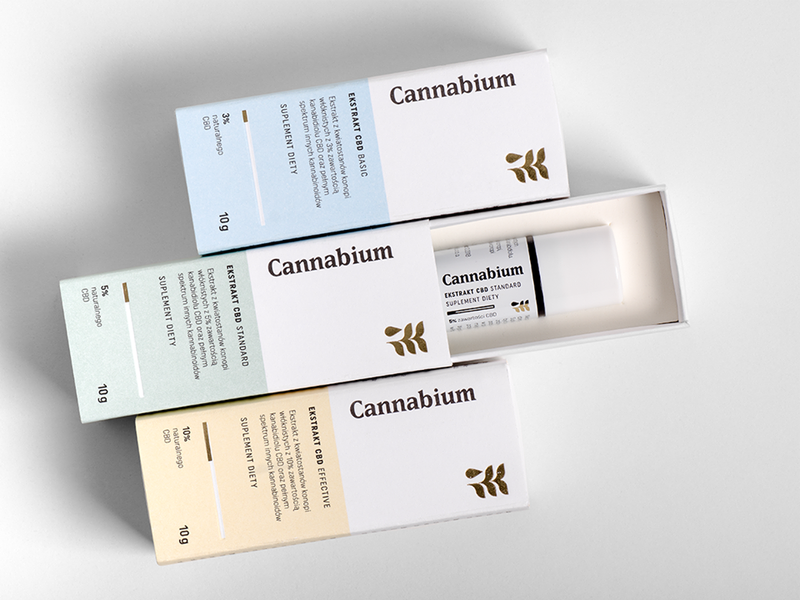 The key elements of the wrapping, signet and CBD product label are enhanced by press effects and gold hot-stamping. The same elements are exposed with cold-stamping on the label film.